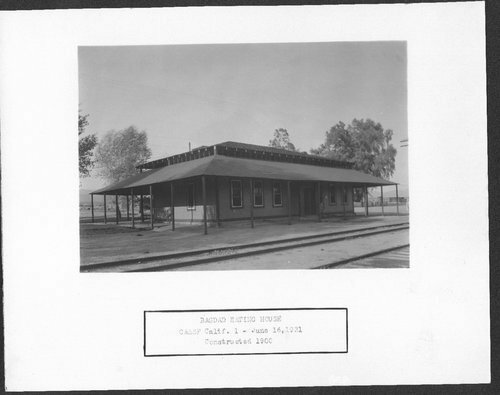 This photograph shows the Atchison, Topeka and Santa Fe Railway Company depot and the Fred Harvey House in Bagdad, California. The one-story wooden structure constructed in 1900 no longer stands. Atchison, Topeka and Santa Fe Railway Company depot and Fred Harvey House, Bagdad, California.